If this was 2005 then Queens Park Rangers would have one of the best squads in the Premier League, and surely wouldn’t be bottom of it. Cast your minds back to the middle part of the last decade, and Djibril Cisse had just recovered from the first of his broken legs to help Liverpool clinch Champions League glory in Istanbul by scoring a penalty in the shootout. Park Ji-Sung’s livewire performances had helped steer PSV Eindhoven to the semi-finals of that competition and earned him a move to Manchester United in that same year, whilst Andy Johnson had just finished as the second top scorer in the Premier League and the top scoring Englishman thanks to 21 goals for Crystal Palace. It was in the summer of 2005 that Shaun Wright-Phillips – that bright young hope of the England team – made his staggering £21million move to Chelsea, whilst in Italy the goalkeeper Julio Cesar transferred to Inter Milan and would go on to claim five Serie A titles and the 2009/10 Champions League. Back in England, Kieron Dyer’s on field spat with Newcastle team-mate Lee Bowyer wasn’t keeping him out of the England squad, whilst Ryan Nelsen was just about to begin his seven-year stint of solidity at Blackburn Rovers and Bobby Zamora was scoring the goals which helped earn West Ham promotion from the Championship. In Portugal, Jose Bosingwa had established himself as Porto’s and eventually his country’s first choice right-back, with the thoughts which crossed his mind ones which would have been as far away from Loftus Road as possible. QPR fans might say they still are. 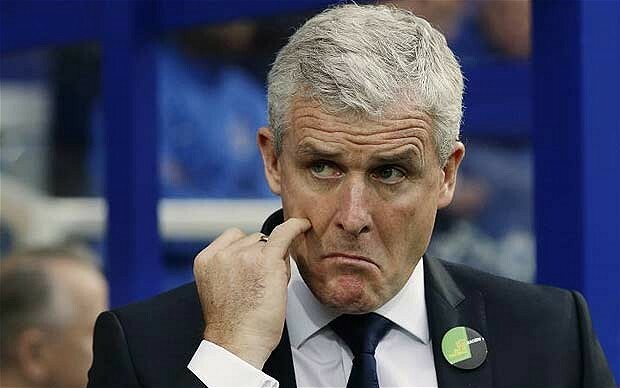 Mark Hughes – establishing himself as a solid, respected manager at Blackburn in 2005 – wouldn’t have been thinking about QPR too much back then either, with his managerial destiny no doubt better suited for one of his former clubs like Chelsea, Everton or even Manchester United. His early experiences as Wales boss had set him up for a shot at the big time at club level. It simply wasn’t supposed to be like this. Yet laying all of QPR’s present problems – no wins from 12 league games, bottom of the table with the worst goal difference in the Premier League, a set of increasingly angry and disillusioned fans to name but three – at the door of the manager is simply wrong, with more than a few of 2005’s men needing to take a long hard look at themselves in 2012/13. There’s no doubt Hughes will eventually be sacked if QPR’s form doesn’t improve dramatically and quickly – and an away game at Old Trafford this weekend following on from the miserable loss to Southampton last Saturday doesn’t suggest that that is coming soon – but whilst the Welshman has made mistakes during what is likely to be less than a full year in charge, he has been let down by his players too. Admittedly signing men whose CV highlights all come a long way down the Employment History section wasn’t a wise move from Hughes and owner Tony Fernandes in the first place, but you’d have thought that these same players wouldn’t want ‘Premier League relegation’ listed on that same document. It seems some don’t care. Others such as Adel Taarabt and Jamie Mackie – an Exeter City player in 2005 – still appear willing to give their skills and effort respectively to what is appearing to be an increasingly desperate cause, but QPR need everyone on board as they do exactly what Hughes said that they’d never need to do again after narrowly staying up last season, and battle relegation. The club are undoubtedly in much better financial health than they were seven years ago when they were staving off demotion from the Championship, but ask a QPR fan if he preferred those days of watching the efforts of the likes of Marc Bircham, Kevin Gallen and Paul Furlong compared to today’s team and there is only likely to be one answer. Those same fans would scarcely have believed that those star players of 2005 would one day represent their club. They should have been careful what they wished for.